Tomb-sweeping was the first name of a solar term. It became a festival to commemorate ancestors and it was related to Cold Food Festival. The Cold Food Festival is an early Chinese ancient festival. The legend was established in the Spring and Autumn Period to commemorate the minister of the loyalty of Jin. In fact, from the historical point of view, the ban on fire and cold food mainly reflects the relics of Chinese ancients changing fire customs. In the primitive society, the ancestors took wood and fired the fire. The fire was hard to come by, and the fire-breeding trees were constantly changing due to seasonal changes. Therefore, changing fire and exchanging new fires was a major event in the lives of the ancients. In the spring of March when the fire is changing, people will be prohibited from firing when the new fire does not arrive. The Han Dynasty described the Cold Food Festival as a non-smoking festival, because people on this day could not hold the fire. It was only at night that the candle was lit by the palace and the fire was transmitted to the home of your Qi Chongchen. Customs during the Cold Food Festival mainly include banishment of cold food and the sweeping grave which later became the main content of Ching Ming Festival. The ancient Chinese paid great attention to the ancestor worship. In ancient times, when someone died in the family, they only dig in the graves to bury them. There is no sign for the grave. The rituals are mainly performed in the temple. Later, when digging the grave pit, a grave mound was erected and the ancestors were arranged in the graveyard, so there was material support. During the Warring States Period, the tomb sacrifices gradually became stronger. During the Qin and Han dynasties, the spirit of sweeping the grave was even more abundant. According to the records of the Han Dynasty, the Minister Yan Yannian had to return to the cemetery on a regular basis, even if he left Beijing thousands of miles away. In the Tang Dynasty, regardless of the scholars or the civilians, the Cold Food Festival graves were regarded as the ceremonial festival of the returning ancestors. Since Ching Ming is very close to the Cold Food Festival, people often extend the graves to the Ching Ming. During the Song and Yuan Dynasties, Ching Ming Festival gradually rose from the status of Cold Food Festival to replace the Cold Food Festival. 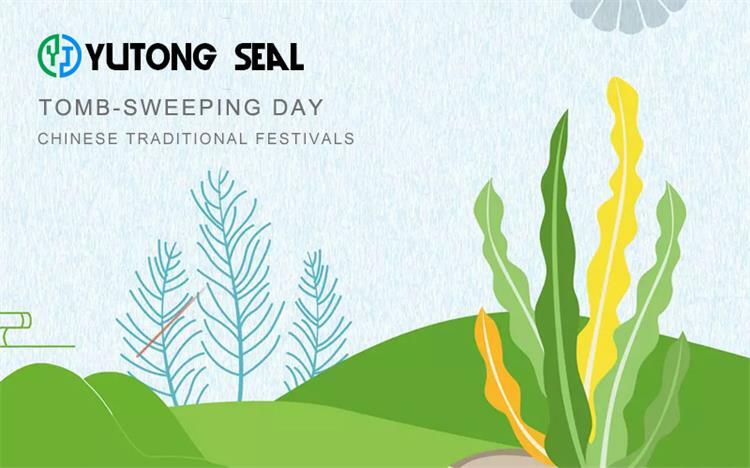 Not only did the ceremonies such as the grave and tomb sweeps take place in Ching Ming, even the original custom activities of the Cold Food Festival such as cold food, gongs, and swings were all collected by Ching Ming Festival.